Today's Top Ten Topic from The Broke and the Bookish is Top Ten New to Me Favorite Authors. I love discovering a new author that I really love and this year has been a great one for that. I am leaving a few off because several of them will be on my Best Books of 2015 list next week. Sarah Addison Allen - Sarah Addison Allen was on my list of authors that I was going to read this year no matter what. 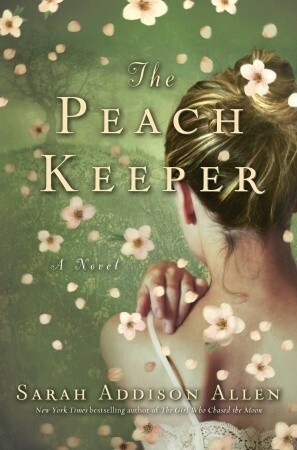 I was in a peach loving mood this summer so when I saw The Peach Keeper which actually had the word peach in the title I couldn't resist! I was pretty much swept in from the beginning and thoroughly enjoyed this one! Susan M. Boyer - I read Susan M. Boyer's Lowcountry Boneyard for a blog tour and fell in love with her matter of fact detective, Liz Talbot, her partner Nate, and the rest of her world. If I had had any doubts the 2nd book I read - Lowcountry Bordello - finished those off. Now I'm just waiting for the next one! Julie Mulhern - I passed on the first book last year because the idea of a cozy mystery set in the 70s didn't grab me but after seeing great reviews of it I couldn't resist Guaranteed to Bleed. I'm so glad I didn't! It was such fun to read and I loved the main characters. She's definitely on my auto-buy/request list. Lauren Willig - I had seen Willig's name around for awhile and I know she has a very long running series that sounded interesting. When I saw this book on NetGalley I couldn't resist. The 1920s time period with a plot involving long held secrets AND an author I'd been were too much to resist. I'm so glad I didn't as I absolutely loved The Other Daughter. I was teetering on the edge of a reading slump when I picked this one up and it yanked me away from the edge. I enjoyed the book, loved the main character, and drooled over the wardrobe. I'm hoping Willig has another stand alone out soon. Loretta Ross - When I saw Death and The Red Headed Woman on NetGalley I jumped at it. I love a good cozy and this one featured an old house, an estate auction AND there was a reference to Dorothy Sayers. I really really enjoyed it and Ross is definitely an author I'll be on the lookout for. I've already got her 2nd book in this series that comes out in February and can't wait to read it! These next authors aren't necessarily favorites but they are all new to me authors that I read this year that I enjoyed. While they're not on my auto-buy list I am looking forward to reading more from them. Iris Johansen - For as long as I can remember mysteries have been my primary genre. How I managed to read so many mysteries over so many years and never read Iris Johansen is beyond me. So when the chance came to review The Naked Eye which she had written with her son Roy Johansen I jumped at the chance. 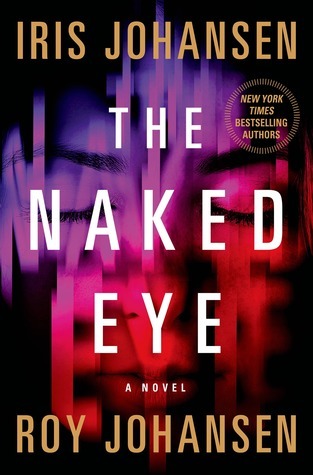 I really enjoyed it and am looking forward to reading more of both the Kendra Michaels and the Eve Duncan series. Shelley Freydont - I may have mentioned that I love a cozy mystery and the Celebration Bay series by Shelley Freydont had been tempting me for awhile. The whole series is set around holiday celebrations which makes for fun holiday reading. I read Trick or Deceit right around Halloween and had a good time with it. She also has another series set in the Gilded Age that I really enjoyed. Sophie Hannah - I'm almost embarrassed to admit that I'd never heard of Sophie Hannah until she wrote The Monogram Murders using Agatha Christie's Poirot character. I enjoyed the read and like the mystery though I had some issues with her version of Poirot. I'm really curious to see what she can do with her own style and her own characters. Linda Lael Miller - Linda Lael Miller is a name I've seen since I first started reading romances but for some reason never picked up any of her books. 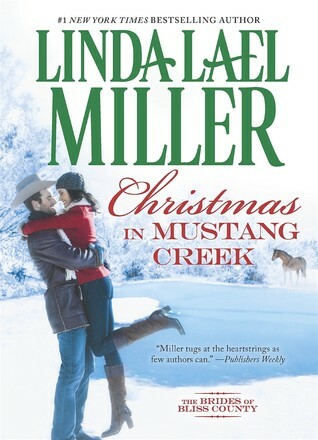 Her series set in a small town in Mustang Creek had caught my eye and so I snapped up this Christmas novella, Christmas in Mustang Creek. And I liked it. I didn't love it but I usually don't love novellas. I'm looking forward to go back and trying a full length novel in the series. Jill Mansell - Mansell is another author I'd been wanting to try and was pleased when I got my hands on The Unpredictable Consequences of Love. It took me awhile to warm up to all the characters but I ended up absolutely loving it. I have another book by her that I'm really looking forward to reading but for whatever reason haven't made time for it. It seems like a good after Christmas read though so maybe in January? So what New to You Authors did you discover in 2015? Sarah Addidon Allen has been in my radar. This year I discovered Lissa Evans who wrote Crooked Heart. I look forward to more from her. Also read Mary Kubich for the first time. She wrote The Good Girl & just came out with another novel I don't have yet. Mary Kubich is on my list of authors to read. The Good Girl looks like a great read! I'll have to look for Lissa Evans. I don't think I've come across her yet. I've heard lots of good things about Sarah Addison Allen, and of course I'm a fan of Julie Mulhern after reading her- she's on my list also. I was surprised by how much I enjoyed Sarah Addison Allen. And Julie Mulhern is fantastic! I can't wait to read the first book. I haven't read any of these but Lauren Willing and The Other Daughter are on my TBR. I really want to get to it. Great list! 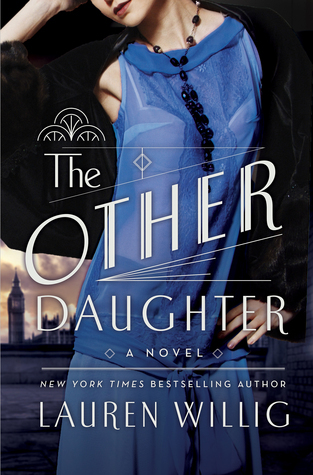 I loved The Other Daughter! I hope you enjoy it when you get to it. Sarah Addison Allen is the only author on your list that I have read. You have so many here that I want to read. Thanks! I really loved Sarah Addison Allen. I can't wait to read more of her books. I've read three Lauren Willig novels, all from her Pink Carnation series. They are fun, but I'm never madly in love either. I do want to read more though. The Pink Carnation series is somewhat based on The Scarlet Pimpernel which is sooo much fun! I still haven't read Linda Lael Miller, but I keep MEANING to! I've been intrigued by the Pink Carnation series but I'm a bit intimidated by such a long series. I really enjoyed this stand alone. Your list could substitute as my wish list. Most of the authors I haven't read, but are ones I want to read. Maybe they'll be on my list of new to me favorite authors for next year. :-) Like Sarah Addison Allen, Jill Mansell, and Sophie Hannah, for starters. I am glad to see Lauren Willig on your list too. :-) Thanks for sharing, Katherine! I really liked Sarah Addison Allen and I think you'd enjoy Sophie Hannah. I liked what she did With The Monogram Murder and look forward to seeing what she does with her own characters. I also have Jill Mansell on my TBR. I think you'd like Jill Mansell. Her characters were great and there was some humor. I will look for the Ascendance Trilogy. It sounds like a fun kind of read. I really enjoyed meeting her! Now I just need to read more. Julie Mulhern is one of my favorite discoveries this year, too! I'm so glad you enjoyed her books! I loved Guaranteed to Bleed but I need to go back and read her first book. Other than Iris Johansen, I can't say as I recall reading any of the authors on your Top Ten Tuesday post this week, so I have some new to me authors to check out for sure. I really liked Iris Johansen's book. She's definitely an author is like to read more of. Sarah Addison Allen is an auto-read for me. I also enjoy LLM's books but agree about novellas. I have a few Mansell books on my kindle and need to finally read one. I can see while Allen is an auto-read. It was really good. Novellas are definitely iffy but it can be a good way to get a taste of an author without the time investment of a full length novel. 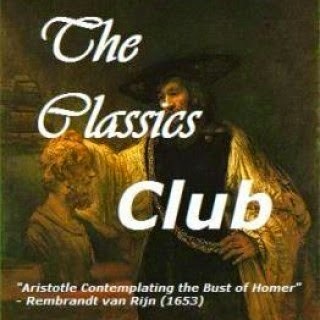 I am a fan of Iris Johansen, I have read a couple of hers. I just read my first Linda Lael Miller this year myself! I love Sarah Addison Allen so I am delighted you have discovered her. I need to try Lauren Willig and Miller has long been a favorite for sweet romances. Linda Lael Miller was a new author for me this year too and I am a new fan. I would like to try Lauren Willig as well.